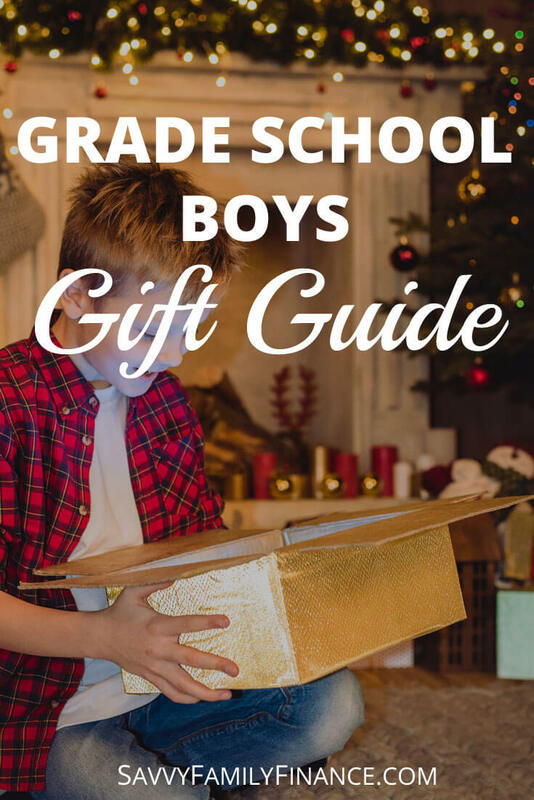 Inside: You’ll find a list of great gifts for grade school boys. Stuck trying to figure out gift ideas for your son or nephew? Here you’ll find a list of gifts for elementary aged boys (roughly ages 5-11). My son has had and loved many of these gifts (and still plays with most of them) and you are sure to find something here that your boy will love. These gifts are great for girls as well. I only separated the gift ideas based on preferences of my own children. Be sure to check out the gift guide for grade school girls as well for more ideas! Mad libs are silly fun that you can even bring camping. Grab a few and have some laughs. The art of folding paper keeps the kids occupied and they love seeing their creations. For some reason, watches make kids feel older. I like that the analog watches help teach them to tell time. It is just fun to read through a world record book, and this is full of awesome pictures. Making paper airplanes is fun, but do you know more than one way to do it? This will show you a lot of different paper airplanes so you can see which design flies the furthest. You just might be surprised. I put this on both guides for boys and girls because both of my kids like playing with this set. Your kids will work for hours on perfecting their magic tricks so they can give you a performance you won’t soon forget! What kids doesn’t love a massive collection of art supplies? This is sure to impress while not leaving a huge impression on your wallet. Sometimes, kids like to dream and have control over their own gifts. Give them a gift card to Amazon or Target and they’ll find the perfect book or toy. Drones are huge now and this is an affordable one for kids to try. Legos are almost always a hit. Check out some of the Minecraft Lego sets for your gamer. What gifts do your boys love?